How many perfect days have you had? What made these days so special? Sometimes it takes years for us to realize when greatness is woven into our perfect days. "Two to three hours for delivery, seriously? ", I asked the order taker on the phone. I should've known better than to try to order pizza for delivery on Superbowl Sunday. Kickoff to Superbowl Forty-One was just thirty minutes away when Dad and I hopped in the truck to pick up our pizza order. Mom reminded me to use the coupon and reminded my dad to not let me pay for the food. That's her way. We were off, racing the clock. I noticed a short line as we walked towards Rosati's pick-up counter. I was worried we were going to miss the kickoff when Dad asked, "Do you think the Colts would dare kick deep?" After several minutes, we were back in the truck with a couple of large, hot cheese, sausage, and bacon pizzas. The radio play-by-play announcer mentioned the Bears had won the coin toss and questioned the Colts strategy of kicking deep to Devon Hester. Sure enough, Hester returned the opening kickoff ninety-two yards for the touchdown. Uninhibited exuberance is a rarity for me and my dad, but we cheered and high-fived like little kids thinking the Bears were on their way to upsetting Peyton Manning and the Indianapolis Colts. We didn't see it live on television, but it was still a perfect moment. My sons, Jarrett, and Trevor, alternated between playing their Gameboys, stuffing their faces with thin crust pizza, and laughing at the commercials. A rainy night in Miami made this Superbowl unique. We wondered if the half-time show would be impacted by the weather. 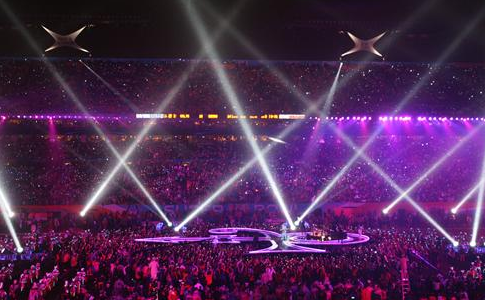 It was, as Prince performed what is widely regarded as the best Superbowl half-time performance ever, in a downpour. On the same day that Jake Arrieta pitched his second no-hitter for the Cubs, and the Blackhawks avoided playoff elimination in a double overtime thriller, we lost a prodigious musician and music icon. Like so many others, news of Prince's death shocked me. I buried myself in my Prince iTunes playlist. Strange, I had just watched Purple Rain on M-TV the previous day. I told my wife, "I would love to see Prince live in concert again." I saw Prince on back-to-back nights at what was then called the Rosemont Horizon in December 1984. We were on the main floor only several rows from the stage. I remember thinking we were about to see a terrific pop artist at the height of his career. I came away knowing that was the best guitarist I had ever seen; no slight to Eric Clapton, Joe Satriani, Eddie VanHalen, Stevie Ray Vaughn, Mark Knopfler, and a few others. The concerts were amazing, perfect. We were disappointed that the Chicago Bears weren't victorious on February 4th, 2007, but my parents and my sons would agree it was still one of our best days, perfect. I am saddened by Prince's passing, but I'm also smiling with the realization that we may only experience a handful of perfect days in our lifetime and he was a key player in at least a few of mine. Heaven is rocking tonight because Prince is bending the strings like crazy on his Telecaster with the purple pickguard, perfect.